Warm, floral aroma carrying notes of dried fruits and with the overtone of the woods after rain. Soft, slightly sweet infusion with accents of the dried fruits of plum, peach and apple. Supple, round body with silky tactility. Slight hints of cinnamon an licorice. Sweet aftertaste. This is a soft-tasting tea. As such, it withstands carelessness in infusion quite well. However, if you are using a larger teapot, make sure you preheat the pot well enough and use infusion water at maximally 95°C. 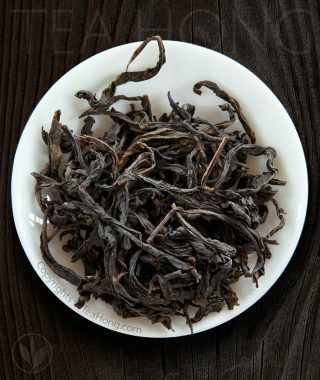 It can be more flexible in smaller infusion ware such as a gaiwan or an infusion mug. 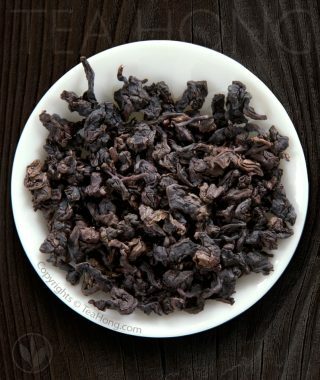 The trickiest part is getting the right amount of leaves: it is an extremely tightly rolled tea and therefore deceivingly small in quantity before infusion. Use a scale if possible. 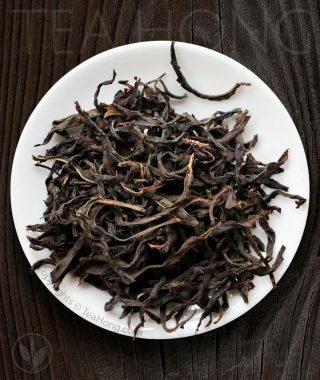 In the event that you use a bit too much leaves, the tea does not taste bitter or astringent, but rather dry and a distorted profile. Use a shorter infusion time and a higher temperature to adjust in such case. 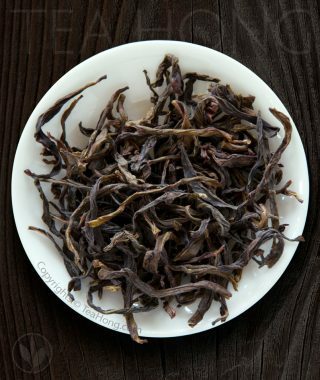 Often, roasted teas will be overdone. This is not the case with this one. 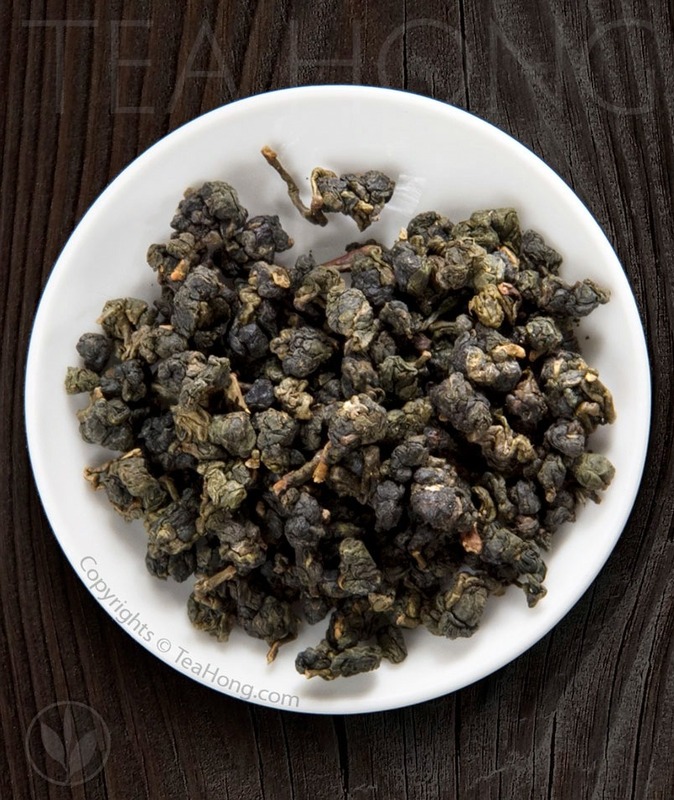 The tea produces a nice floral aroma with a mellow sweet flavor of fruits and some nuttiness. The mouth stays wet and reveals a good body to the tea. Some huigan and mouth activity. Seems to strengthen after a few brews. Long lasting. 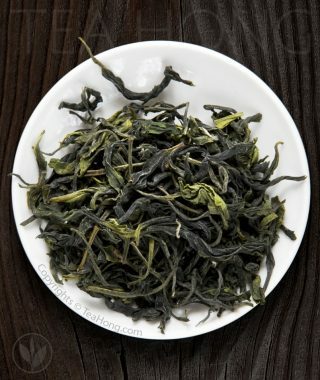 A very solid tea that holds up repeatedly.